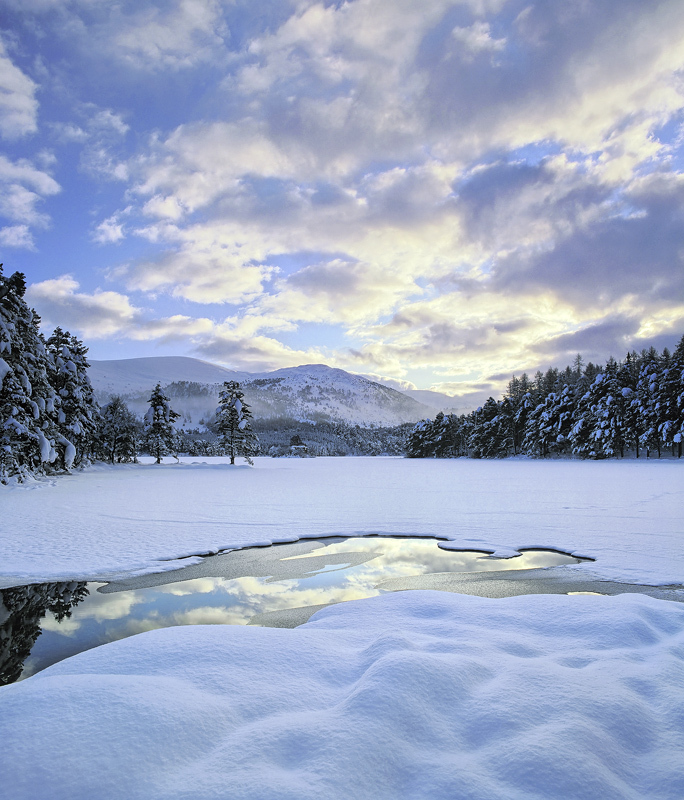 Deep pillows of fluffy white snow stained blue by the late afternoon sky covered the edge of the loch like plump marshmallows, pristine and unblemished. Even the clouds did their very best to mimic the dimpled snow. I doubt the photograph would have had the same degree of sucess and personal satisfaction without the focal point of the twin pines and the reflection generated in the all but frozen outflow of the stream at the edge of Loch an Eilein.